If you haven’t heard, we’ve been making some noise regarding Veeam Backup & Replication v7 already. The first of these was the announcement that v7 will offer enhanced support for vCloud Director, made last month at VMware Partner Exchange in Las Vegas (be sure to see our pictures from the event on Facebook!). We are now ready to introduce the next milestone in building up to v7, a plug-in for the vSphere Web Client for Veeam Backup & Replication. How cool is that! We can now bring more information about the Veeam backup infrastructure into the Web Client. 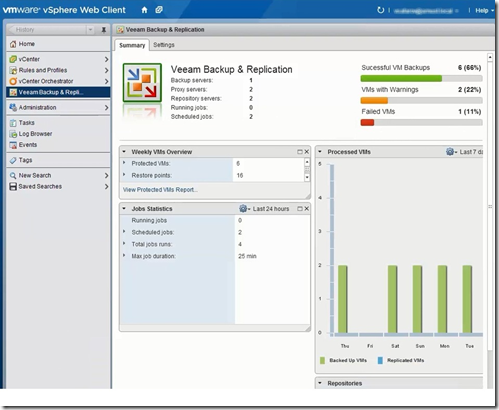 Good information about the status of Veeam Backup & Replication will be available right inside the vSphere Web Client, and in fact this is quite usable data. We’ve had attribute settings for a long time to clearly set a VM to being backed up as a way to self-indicate its protection status; but this is a great way to see it within your vSphere administration space. You may wonder if this is just another interface that you need to use or does this make your day-to-day administration more complicated. The fact is we’ve had requests to plug backup directly into vSphere administrative interfaces for a long time. We’ve heard it in the forums and we’ve heard it in person. 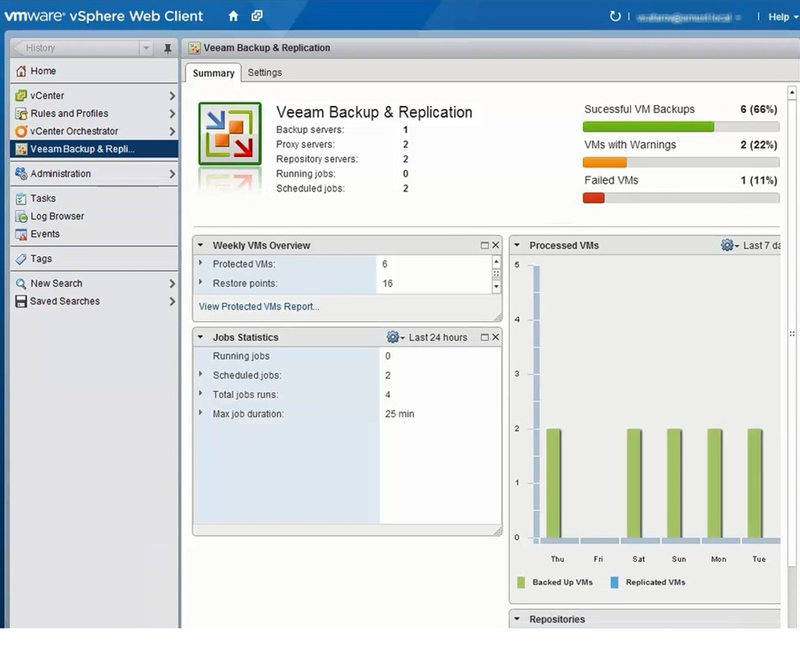 To introduce an interface for Veeam Backup & Replication into the administrative console today, leveraging the next-generation vSphere Web Client with vSphere 5.1, is the right place to start. And don’t worry - you’ll still have the Veeam Backup & Replication console, that’s not going away in v7. I am also happy to announce that myself and Vitaliy Safarov, a product manager here at Veeam, will be delivering a webinar to showcase this new functionality. Veeam Backup & Replication v7 will be available in Q3 of 2013, and this particular feature is in internal private beta currently. Stay tuned for more information on v7 and be sure to sign up to know about the additional new features as they are announced on the countdown page!